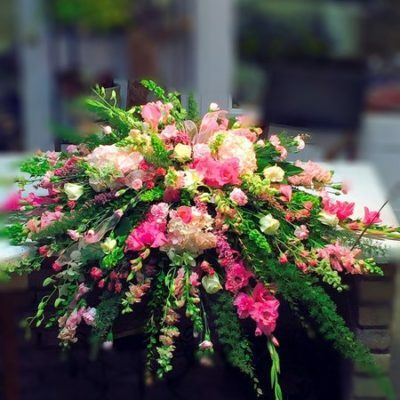 Red Roses, and Pink spring flowers are beautiful together. 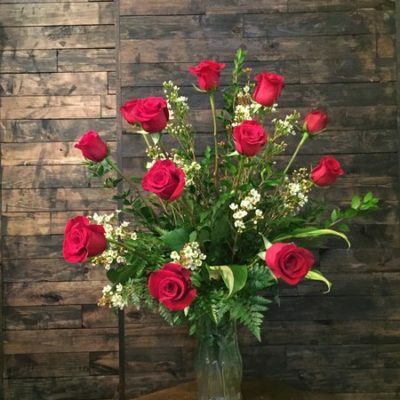 Red Roses, and Pink spring flowers are beautiful together. 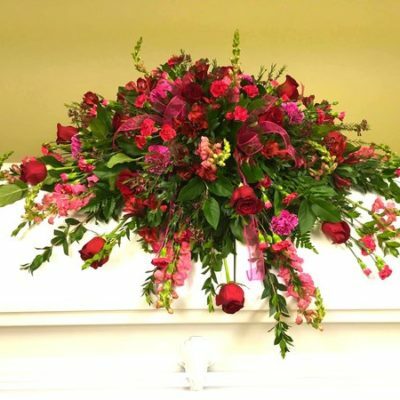 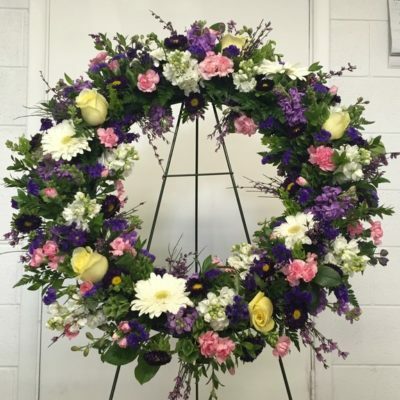 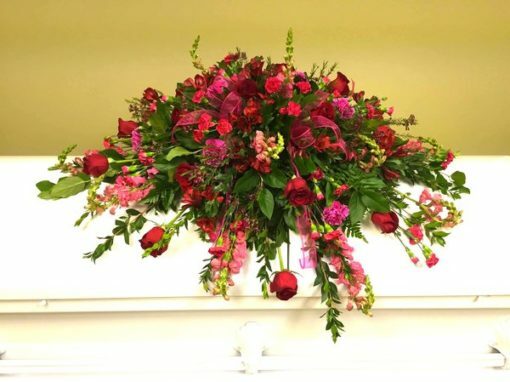 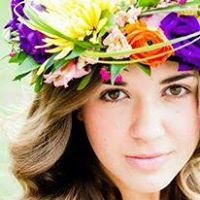 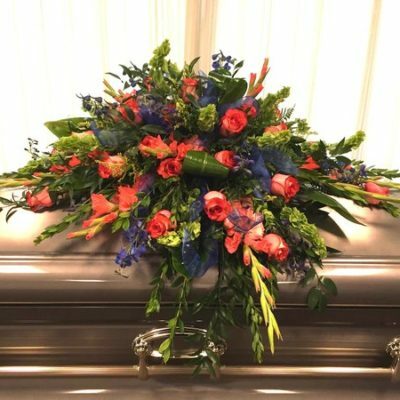 Our professionally trained designers, can modify any of our casket sprays to give you exactly the colors and flowers you would like. 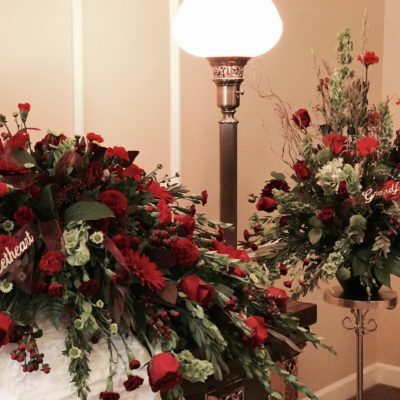 This casket spray in all red is a beautiful tribute.